Welcome to the NC Demo Blog Hop for February. 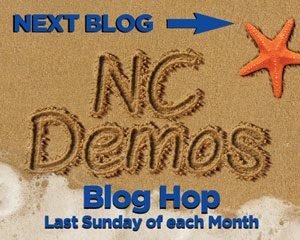 I'm Frances Wagner from Vero Beach, FL but an original member of NC SU Demo group. Our theme this month is "Keeping it in the lines" I looked at my stamp sets and realized I had not even touched my FREE SAB SET LOVELY LATTICE! That doesn't happen to you does it? You get so excited when you get free sets that you just love and then life happens and you keep missing it. Well today is the day, check out what I created and make sure to tour the rest of the hop! 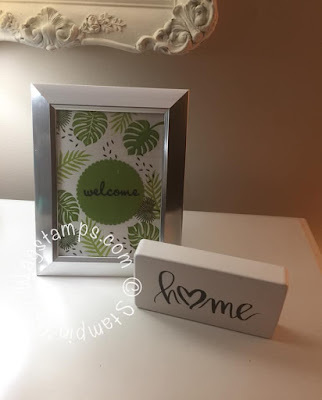 I love using our alcohol Stampin' Blend Markers. See list below the blog list. 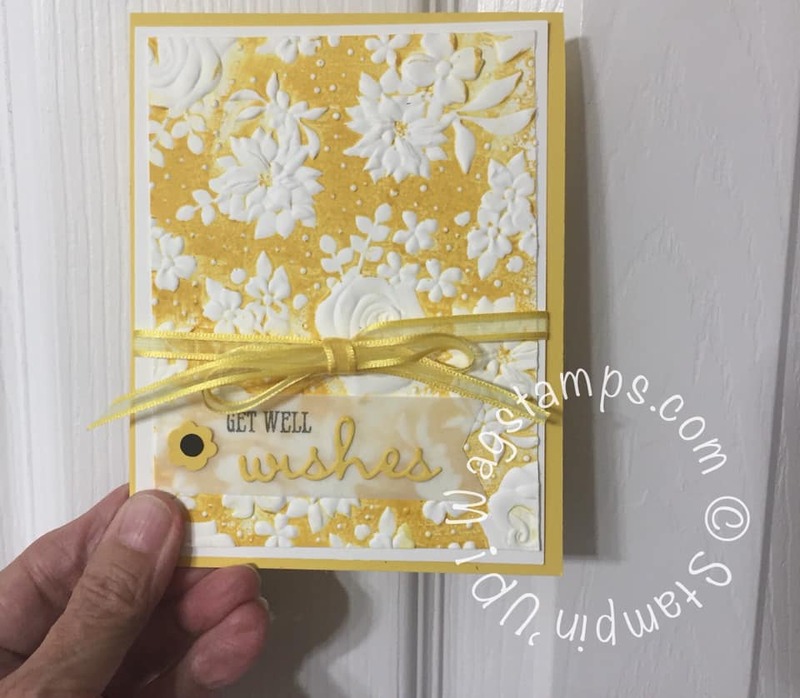 On another note I have been using a lot of Daffodil Delight color lately. Earlier last week I was working on using new SAB 2ND RELEASE. If you haven't seen them you will have to check it out below the hop list. 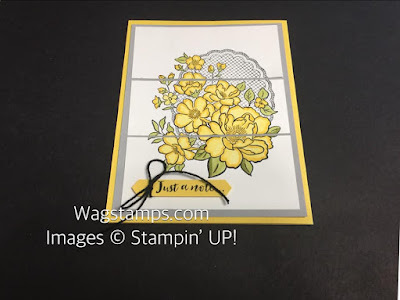 This is the new Country Floral Dynamic Textured Impressions Embossing Folder you can get FREE with a $50 order. 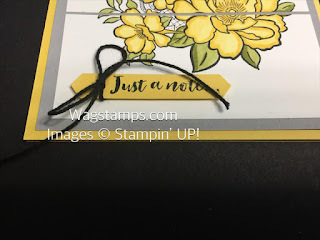 This technique is tapping or swipping your ink pad directly on the inside of the folder the side with the SU logo. 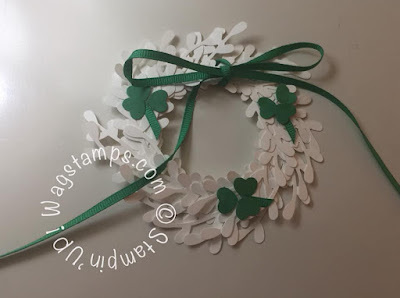 It is easy and a fun technique. Below is a sample I shared and will be offering in upcoming classes/camps. Today I was working on a card swap with other demonstrators. These are our note cards and envelopes. I love them because they are already scored and a great size. 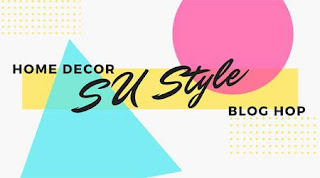 Hello and welcome to my stop on the Home Decor SU Style Blog Hop with these amazing, creative demonstrators. This week I was working on my cruise projects to be shown at a later date. 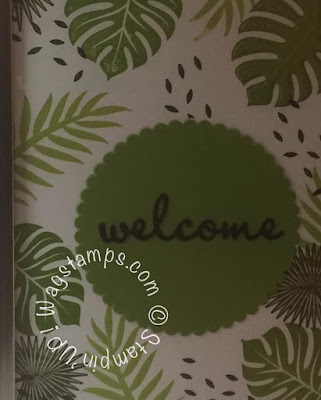 Since it is a cruise to the Carribean, I am making projects using the Tropical Chic stamp set. 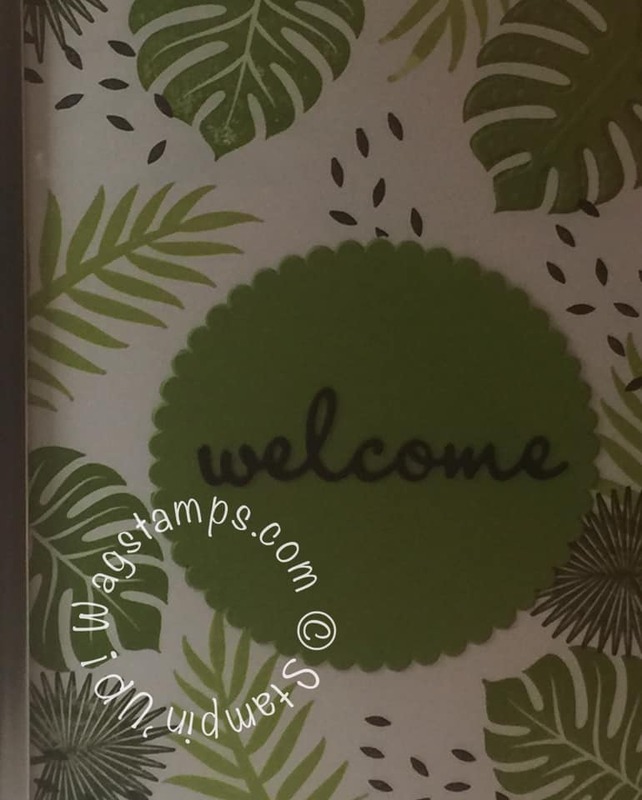 While I had those stamps out and since I was using the green inks, I thought about using it for the blog hop. I always like to put a pretty framed piece on my side table in my dinning area. I always work a month ahead for themes for my classes and ideas to share with my friends/customers. So of coarse I used green with the upcoming St. Patrick's Day on March 17th. Since I had out some of my previous projects I just changed red hearts to green shamrocks for St Patrick's Day. This was last months wreath with a red heart attached and red ribbon. Links to the participating blogs can be found below my signature. Next on the hop is Rae Jean Communal. I appreciate the opportunity to be your Stampin' Up! Demonstrator. When you place your order this month, please use the host code AVPBGMAF for a special thank you from me! 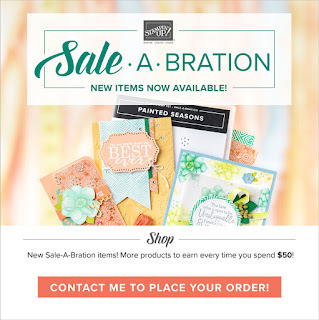 You still have time to get free stamps and products during Sale-A-Bration through March 31st!!!! For each $50 order you get to choose from our special SAB BROCHURE HERE plus there are a few items you can receive with a $100 order! The best deal of all is to get the Demo Kit for only $99 and you will get to choose $175 in product. CHECK HERE! 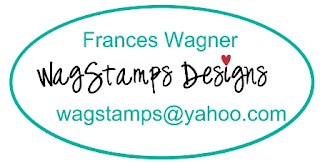 I would love to have you join my WagStampers Team. Contact me for more information. Have you seen the 2nd release of SAB. 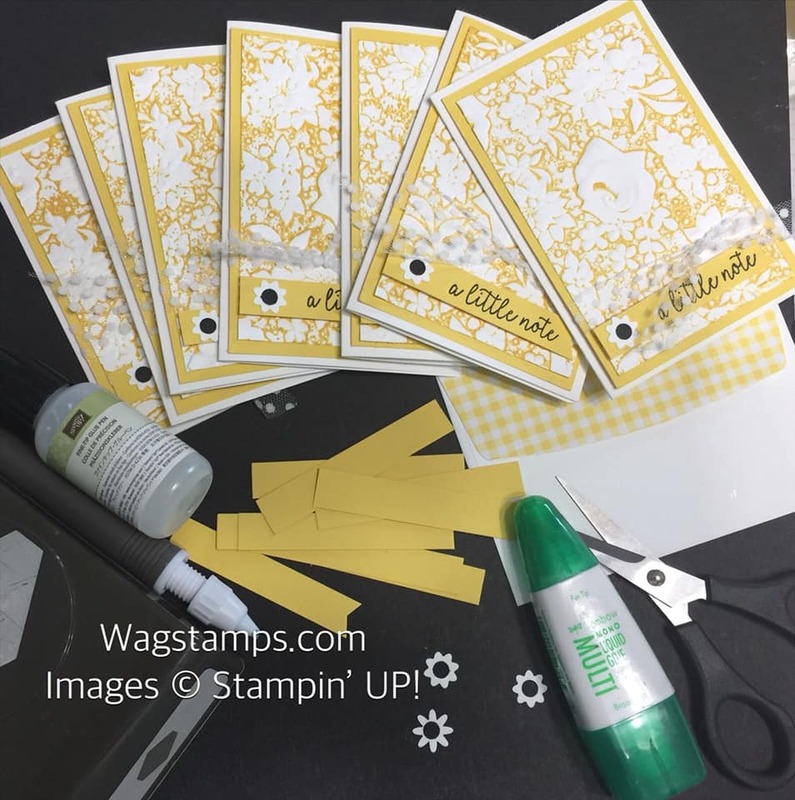 Starts Friday 2/15/19 Check it out HERE! 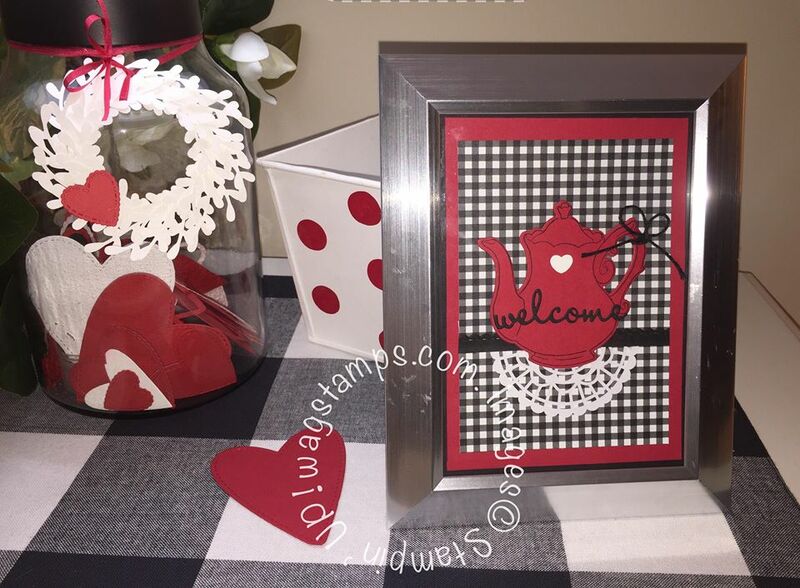 You can still choose from the first brochure but you will love the new selection too. What is your favorite product? Thanks for stopping by! Check back later for new samples. 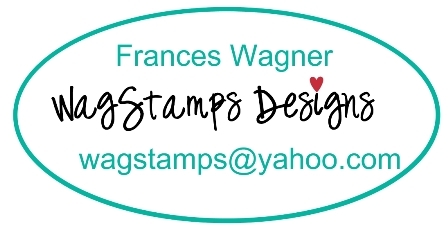 Labels: Frances Wagner, FREE PRODUCTS/, NEW SAB BROCHURE, Stampin' Up!